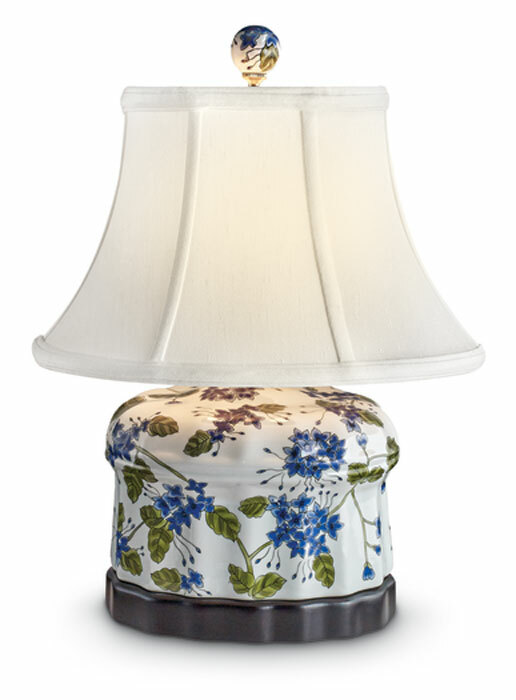 Hand-painted blue flowers with greenery adorn our porcelain lamps with wood bases. The scalloped jar lamp (8”W x 6.5”D x 16.5”H) uses a 60W max, type A bulb (switch on cord) and is topped by a white shade (12"DIA. x 8.5"H) with decorative round finial.